There are only a handful of products I love enough that I really suggest to friends and family so I thought what better way to spread the word than mentioning here. So for the next few Fridays I am hoping to highlight some of my favorite products for families with kids. Note: I either purchased these items, borrowed or was given them as gifts from families and friends. 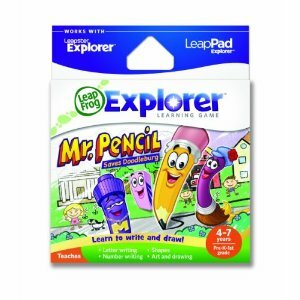 Today I wanted to highlight the game Mr. Pencil Saves Doodleburg that came with my daughter’s Leappad. She got one for Christmas and she cracks me up whenever she tells me what she is playing because she says the name of the game with such gusto. Sometimes I ask her where she learned something and the answer is “Mr. Pencil saves Doodleburg!! !” with both arms raised up in the air. She loves this game and I’ve sat down with her a few times to watch her play because she’s always coming up with the most amazing, random comments that she says she’s learned from this game. 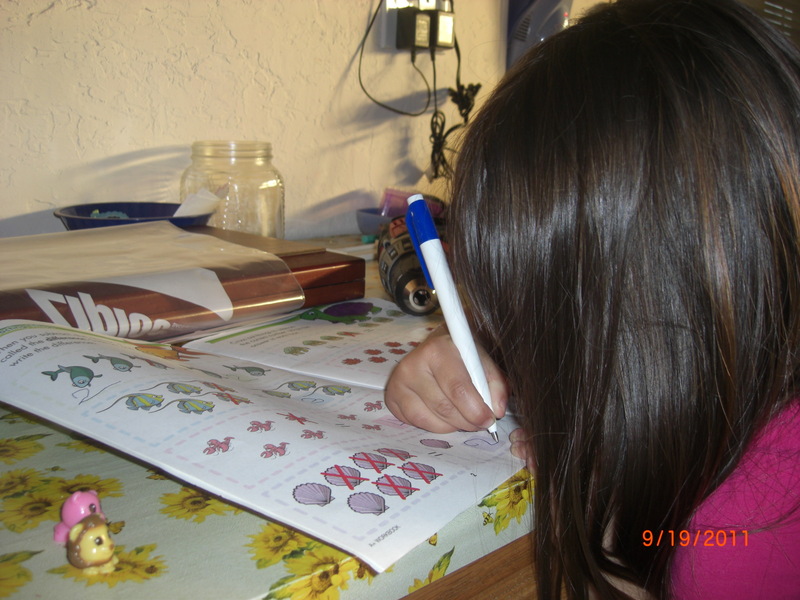 It focuses on skills like writing letters, numbers, tracing lines, drawing, colors, etc. One day I was driving her to school and she tells me “Mommy, you are the left side of the car and I am on the right side. That means we are sitting diagonal!” I asked if she learned about diagonals at school and she said no it was from “Mr. Pencil saves Doodleburg!! 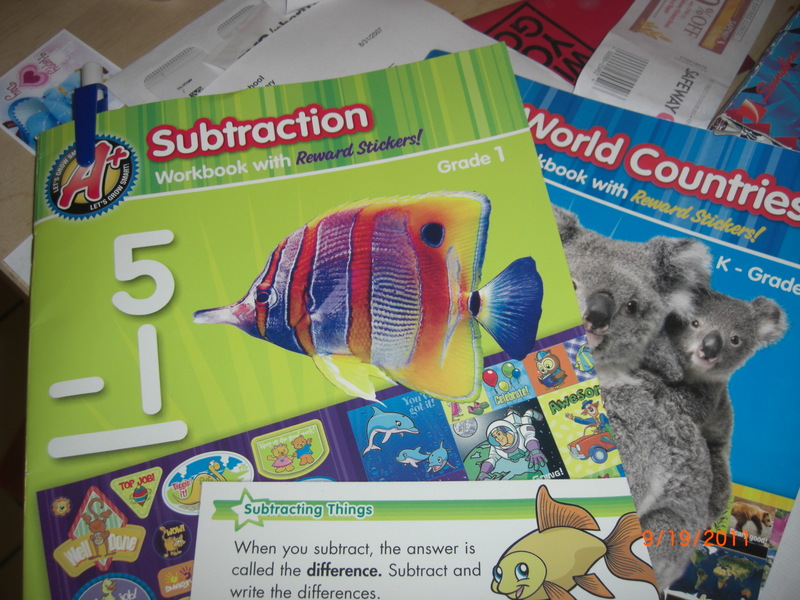 !” She’s gone on to mention learning about mixing colors, drawing various shapes and a couple nights ago she even started giving me a lesson about animation. She, my 19 month old and I were doing some painting on scrap pieces of cardboard and I drew an ocean with fish jumping out of it. Looking at the picture she tells me “Mommy, you can draw more frames so it looks like the fish are really jumping like in an animation.” This shocked me because at 4 we have never talked about how cartoons are animated or about different frames that make up an animation. I thought maybe this was something new that she was learning at school but nope, she shocked me again saying she learned this from Mr. Pencil Saves Doodleburg. After all of these comments she has been making about what she has learned from this game and what she remembers even after not playing it for awhile has made me a huge fan of the game. If you have a preschooler or a slightly older child (it’s rated for 4-7 year olds) then I highly suggest trying this game out. It teaches some wonderful concepts, the letter and shape tracing has really helped my daughter slow down and really focus on what she is writing and things like colors, color mixing, etc really has helped reinforce what she is learning in preschool as well. Definitely a 5 star game in my book!